A. On the contrary, frequent cleaning prolongs the life of a garment. Not only do stains set with age, making the garment unwearable, but ground-in dirt and soil act as an abrasive, like sandpaper, causing rapid wear of fibers. Also, insects are attracted to soiled clothes and will cause further damage. Q.When a garment’s label says “washable,” does this mean it cannot be drycleaned? Q. Are suede and leather cleaned the same way as other fabrics? A. No. Special procedures and additives are used on leathers to help retain their color and texture. Sometimes suedes and leather are redyed to replace color loss. It is not always possible to replace or match the colors. Q. Does drycleaning shrink clothes? A. Usually not. The drycleaning process is carefully controlled to prevent shrinking clothes. A. The bags are provided by the cleaner to protect the garment until you get it home. It is best to store garments uncovered or in fabric garment bags. Q. Is it safe to wetclean a garment with “Dryclean Only” care instructions? A. When determining if a garment can be safely wetcleaned, the cleaner will look at the fiber content, fabric construction, colorfastness, trims, and other components such as interfacings and linings. The Drycleaning & Laundry Institute (DLI) has been the premier international trade association for drycleaners since 1883. 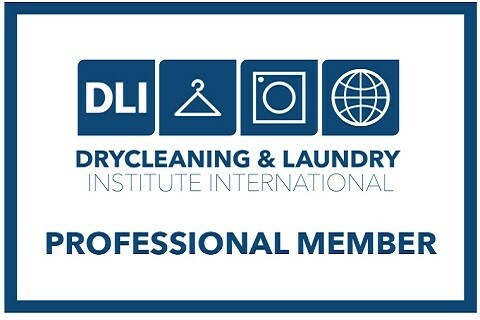 Representing retail drycleaning and laundry facilities in the United States and around the world, DLI is the leading professional drycleaning organization.